You may feel drowsy and sluggish the first time you open your eyes after having surgery. 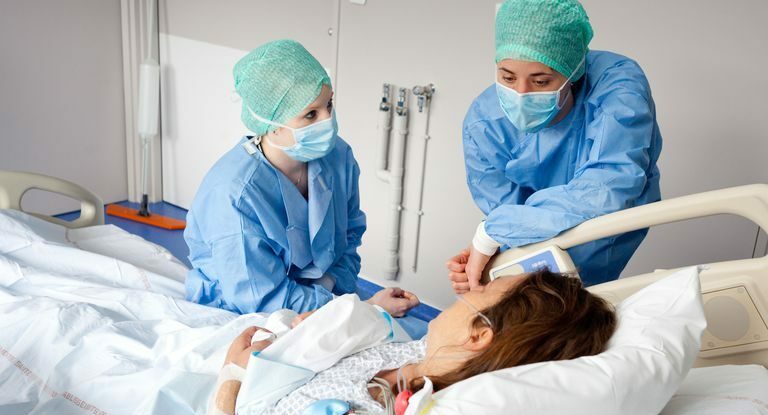 What will meet your eyes first is the bright walls of the operating room, then the monitoring equipment at the head of your bed. There will be a tiny clip on your finger and a blood pressure cuff around your arm to measure your oxygen level and your pulse. A nurse will regularly come around to check your blood pressure and give you drugs to ease any discomfort or pain. When you are more alert to your surroundings, ward staff will come help you stand up and move around. Your overall health and the kind of surgery you had will determine the length of your recovery period. Many people tend to expect so much of themselves after surgery, don’t do that. Knowing the below should help ease your fears and worries about what follows after surgery. If the operation you had is a big one, then you may have either an intravenous infusion, a drain or a catheter attached to your body. The intravenous infusion is there to provide fluids to your body until you are able to have your normal meals. A drain, as the name suggests, helps remove excess fluid from your wound while a catheter is a small tube inserted in your bladder to collect your urine until you can move about. Small tubes may also be placed in your nose to provide you with oxygen. You may possibly go home with a drain still attached to your body. Don’t worry, your nurse will arm you with enough instructions on how to manage it. A pad or clear sticky dressing may be placed over your wound before you leave the hospital. Some surgeons prefer using a waterproof dressing, one that will stay in place till you go back for your first appointment. If your doctor feels there’s no need for you to return, he may use dissolving stitches that will completely disappear on their own when the wound has healed. After the healing, then comes the scars which may appear red, feel lumpy and itchy. These gradually fade with time though. Should your wound start leaking fluids, bleeding, feeling hot or too painful, you should let your doctor or nurse know immediately. Feeling pain in the area you had surgery is completely normal. Your doctor will administer the right kind of pain relief, so that you will be less uncomfortable with moving about. You have to let your doctor or nurse know the exact kind of pain you’re feeling so that you can be given adequate painkillers. Following your surgery, a patient controlled analgesia or PCA may be attached to your bloodstream to ease your pain. Also, your surgeon may place a local anesthetic in your wound that will control your pain for a longer duration after your surgery. Follow the instructions for whatever painkillers you are given and contact your doctor if the pain worsens. Depending on the kind of surgery you have had, you may either be asked to go straight home or to visit a physical rehab centre. Those who had knee or hip surgery might have to go to a rehab centre. A caseworker or social worker will make the arrangements for you. You are likely to be moved down there in an ambulette that is equipped to help you to enjoy a comfortable ride. The physiotherapist’s job is to monitor your special needs and guide you on the path to regaining strength and movement. You shouldn’t be alone at home after your operation, you need all the support you can get. You may find it difficult to do some simple tasks like cleaning up. It may be worth it to have a Gifted nurse by your side so you can better rest and worry less about your symptoms. Your doctor will also recommend that a family member or friend stay and watch over your safety until your meds wear off. Do light exercises, they will help you recover quickly but don’t force or overexert yourself. Try to have enough rest and eat a balanced diet. Painkillers often cause constipation, so try to increase your intake of fibre, fresh fruits and vegetables to help the movement of your bowels. 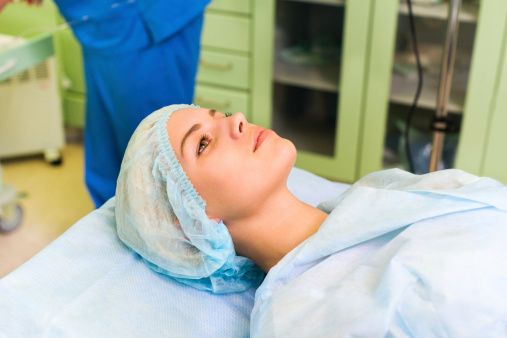 In the wake of your surgery, complications may arise. If you had outpatient surgery, the anesthesia in your system may make you feel nauseous and cause you to start vomiting. Painkillers can also lead to complications and they can make you feel woozy. Note, these symptoms may come much later, while still in the hospital, you may feel okay. When you do experience any of these symptoms, let your doctor know at once. He may change your painkillers or give you anti-nausea medication. Other complications that commonly occur after surgery can include blood clots, chest infections, wound infection and bleeding. Consult your doctor immediately you notice any of these symptoms. It is perfectly normal to feel upset or emotional after your surgery. Adjusting to a new way of life is never easy. You’re also bound to feel tired as your body consumes a large amount of energy to heal. This tiredness can sometimes descend upon you suddenly. For a faster recovery, try your best to cooperate with your health care providers as well as, your family and friends. Know that they all want the best for you, so listen to them.